If You Give a Mouse a Cookie (If You Give…) is such a cute book. K loved reading this book over and over. The story starts with a boy eating cookies outside his house. Soon he sees a mouse and want to share his cookies with it. The mouse eats the cookie and then asks for milk, of course the boy gives him some milk. The little mouse continues asking for things, and the cute little boy continues to give him what he would like. 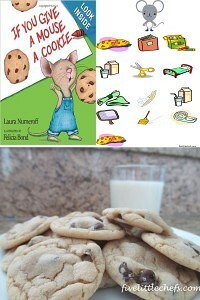 If You Give a Mouse a Cookie is written well by Laure Joffe Numeroff, and the cute illustrations are by Felicia Bond. These two combined to make a great book. You need to read this book with your kids to see what the mouse continues to ask the little boy for. 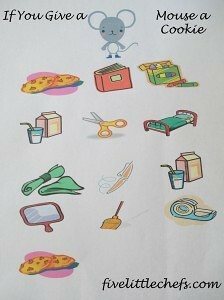 The first activity for the book If You Give a Mouse a Cookie, is similar to a memory game (see picture above). For this activity your kids need to remember the order of items the mouse asks for and connect the pictures. Are your kids able to do this correctly? Another way you are able to use this sheet is to have your kids cut out the pictures and glue them in the correct order. Either way you decide to do this, your kids will need to use their memory of the book. Want something else for the older kids to do? Why not have them make up their own story similar to If You Give a Mouse a Cookie? For example, they can start the story with “If you give your dad a donut he will ask for another donut. If you give him a second donut he will ask for a glass of juice….” I think you get the idea. See how creative your kids can be. Add pictures to their story and save this book to read over and over again. Of course you need to make Chocolate Chip Cookies, and have milk with them. 100% of the time my cookies come out flat and extra crispy on the edges. I’ve always left my butter out to get to room temperature, so I thought it was just me and there was no way I would be able to make a descent looking cookie. My sister in law gave me a tip that I hadn’t heard about. When you add your creamy and dry ingredients together, only mix until the dry ingredients are barely incorporated. DO NOT OVER MIX. Well, I gave this a shot. I had my fingers crossed while they were baking. The last thing I wanted was my husband telling me I made flat cookies again. Guess what?!?!? They came out perfect. A well shaped cookie, and none of them were flat!! Thanks Jenny for the tip!! 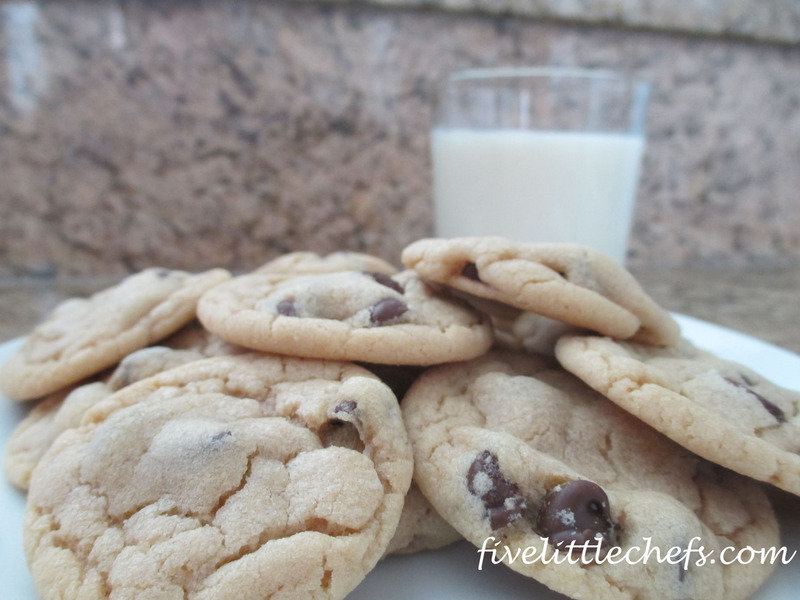 What other tips have you heard when it comes to making the perfect cookie? No Replies to "If You Give a Mouse a Cookie"